Hand-coloured print of 'The Colledge of Glasgow', with the Blackfriars Church visible on the right. 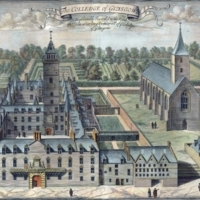 “The Colledge of Glasgow,” Heritage, accessed April 20, 2019, https://heritage.rcpsg.ac.uk/items/show/24. 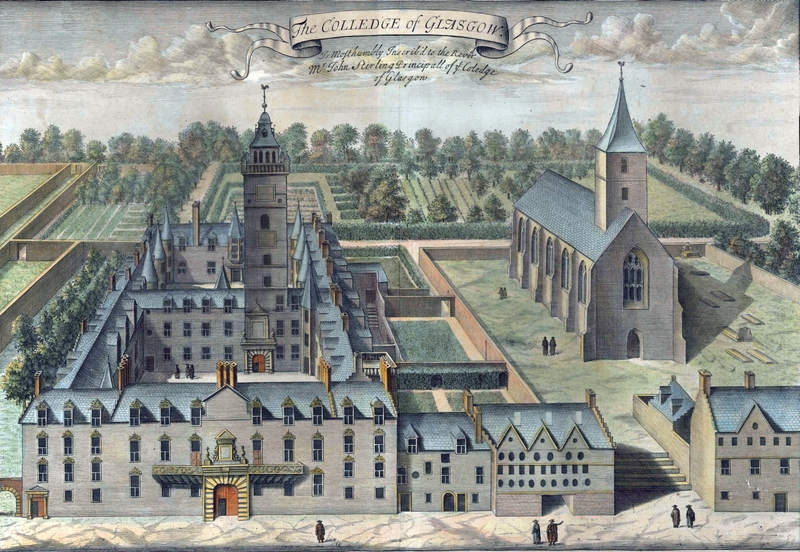 Description: Hand-coloured print of 'The Colledge of Glasgow', with the Blackfriars Church visible on the right.